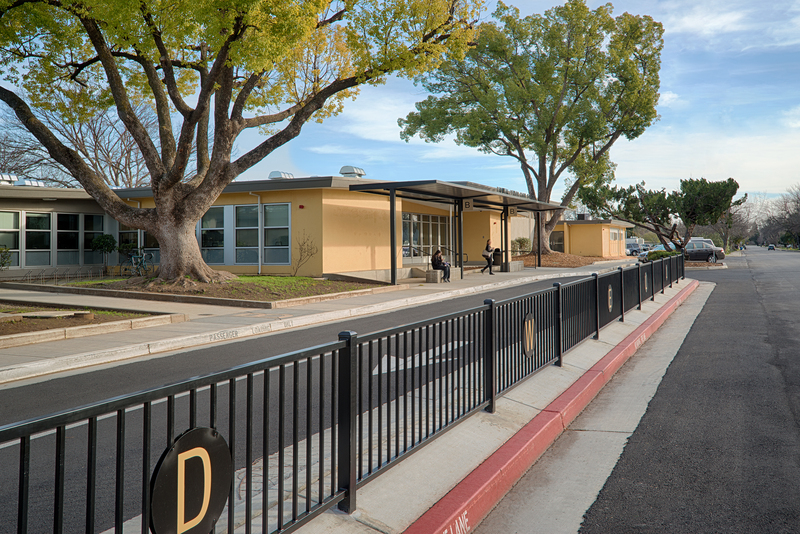 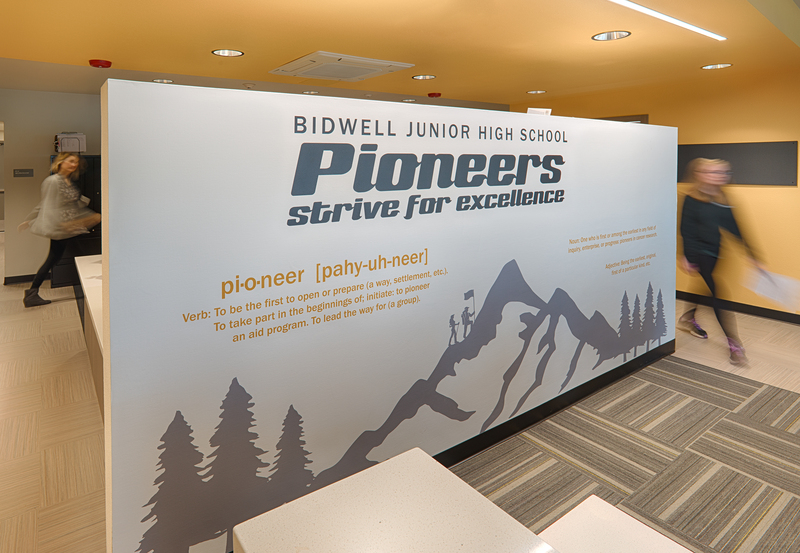 Bidwell Junior High School, home of the Pioneers, needed a new school logo and accompanying graphics that represented innovation and trailblazing. 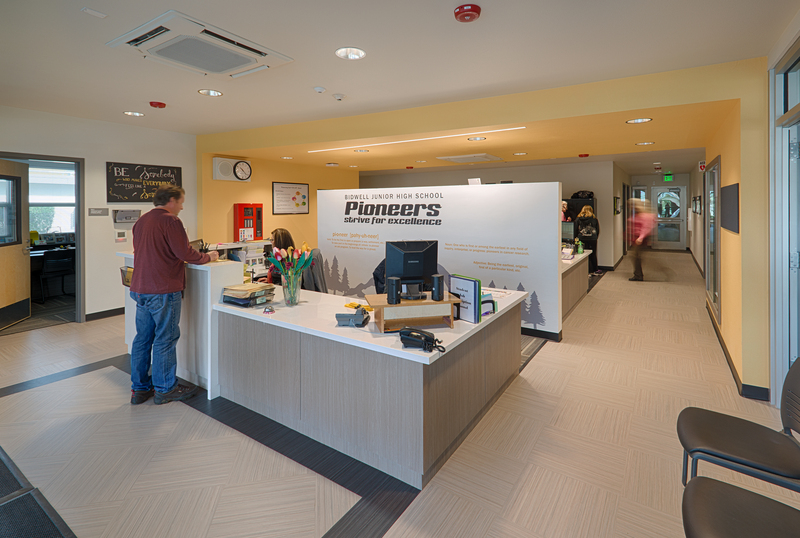 Using their school colors and modern typography, the Lionakis Graphics Team developed a clean and contemporary logo, with a banner of “Home of the Pioneers” positioned front and center. 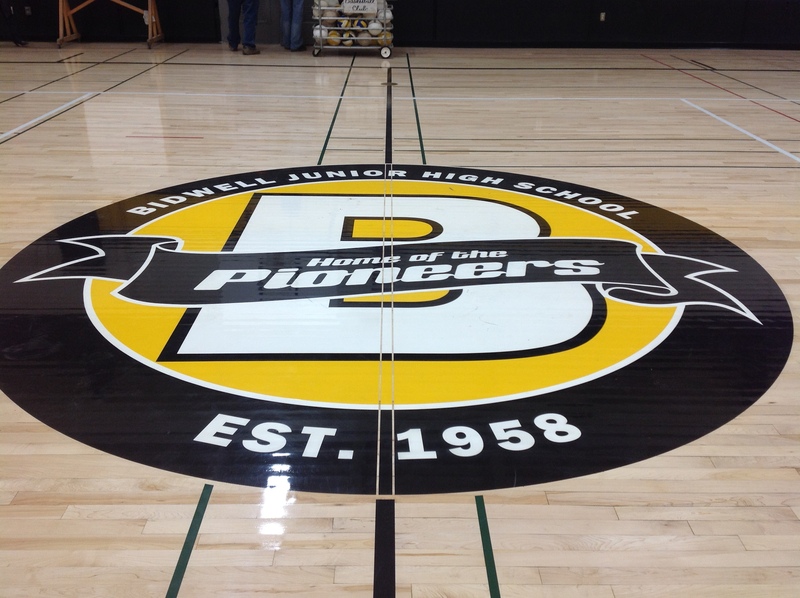 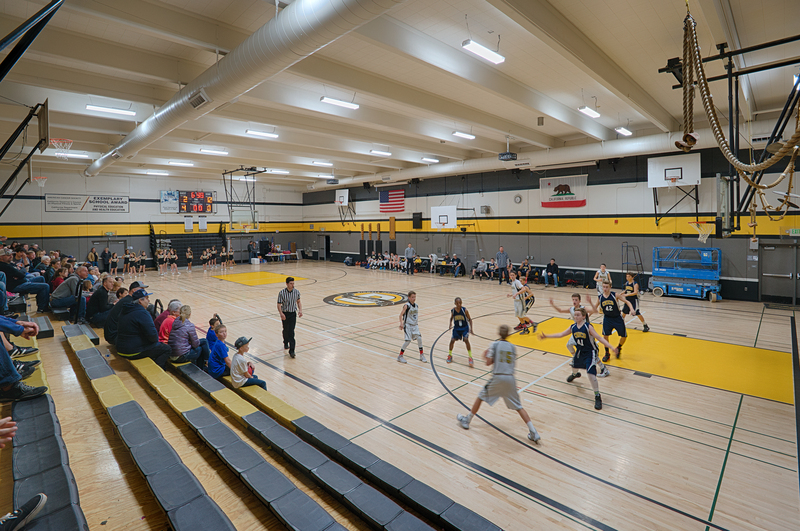 The logo is also placed on the gymnasium floor and fence surrounding the outside of the school to convey school pride. 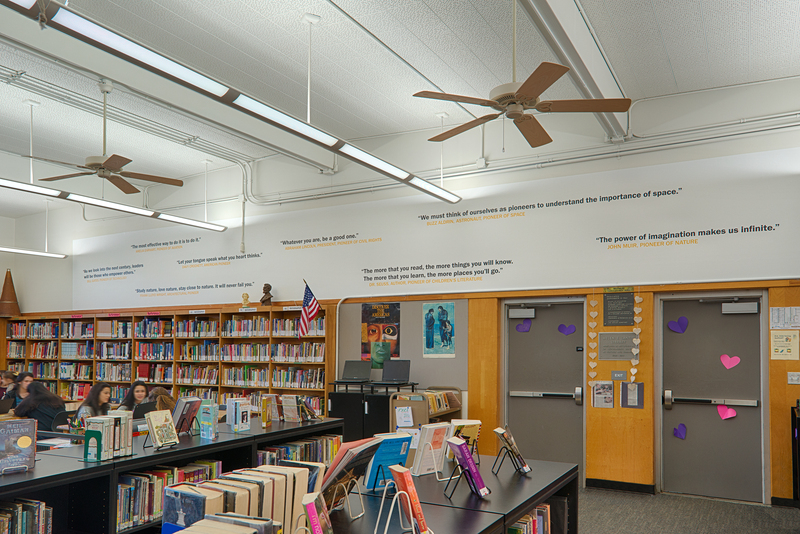 In conjunction, the Graphics Team designed murals for the administration and library buildings, maintaining the color scheme, inviting typography, and theme of pioneering and leadership.